From ownership to propulsion and operation, car-making is at a point of inflection. Power brokers are scrambling to find new business models, and to slow the process. CNBC ran a story last week about public frustration with Alphabet’s self-driving car program in Arizona. The robot vehicles are so cautious that human drivers can’t see their utility. Global sales of passenger vehicles reached 78.6 million units in 2017. Toyota (TM), the largest manufacturer, logged sales of $265 billion last year. This business is being disrupted right now. The same is true for auto parts, dealer networks, maintenance and repair infrastructure and the $5 trillion oil industry. 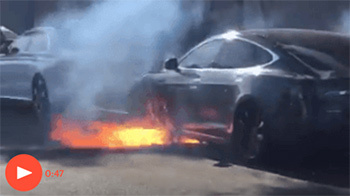 An Associated Press report about an electric car catching fire became a global news story in June. None of these deep-pocketed interests benefit from cars quickly becoming more safe, reliable or electric. They need to slow the process while they need to find new business models. Stories promoting the myth that new technologies are less safe, and ultimately will do more harm than good, are a help to the auto industry. In 2015, the most recent year for which records have been kept, the National Fire Protection Association reported approximately 174,000 gasoline vehicle fires. It turns out that gas is flammable — go figure — and prone to spontaneous combustion. In March, an SUV decked out with the latest sensors, cameras and self-driving software from Uber, struck and killed a pedestrian in Tempe, Arizona. The test vehicle did not slow or swerve. The ridealong human observer did not take the wheel. Video captured from the vehicle showed her looking down at her smartphone moments before impact. 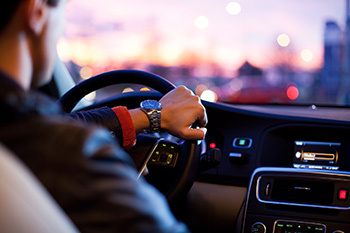 Although the tragedy became an indictment of autonomous vehicle technology, the National Highway Traffic Safety Administration reported 5,376 pedestrians were killed in traffic crashes in the U.S. in 2015. Some 129,000 were treated for injury. The numbers are not surprising. Humans are terrible drivers. We are far too easily distracted by children in the backseat, the radio or our smartphones. And we are impatient to a fault. In the CNBC story, Arizona drivers complained Alphabet’s AVs were operating too safely. They didn’t speed. They proceeded cautiously at intersections. One man admitted to driving illegally to avoid getting stuck behind an AV. As a veteran journalist, I love a good “Dog bites man” story. Everyone does. But the idea that electric cars and AVs are the problem is dangerous, especially for investors. The automobile industry is headed toward autonomous, electric vehicles. Years from now, owning a car will make no more sense than owning music or movies today. Most legacy business models must change or ultimately fail. Car-makers know this. It’s why every leading car-maker is moving production toward electric propulsion. Volkswagen, now the largest carmaker by volume, plans to offer 80 new electric vehicles by 2025. Even Dyson, best known for its snazzy vacuums and fans, is going to build electric cars. It’s why Volvo and BMW are experimenting with vehicle subscriptions. For a single fee, subscribers get to change cars whenever they want — insurance and maintenance included. It’s why iconic car brands are pairing with ride-hailing startups all over the globe. In the future, selling fleets of vehicles and taking a piece of new Mobility-as-a-Service models will be the business. It’s why Bosch, the largest auto-parts supplier in the world, is working with Nvidia (NVDA) to build the trunk-mounted supercomputers to power autonomous vehicle software. Investors are doing themselves real harm buying into the idea the technology is faulty, or decades away from adoption. Use weakness to add longer-term positions for companies exploiting every part of the stack, including Alphabet, Nvidia, Lear (LEA) and Aptiv (APTV). As always the wonders of technologies that make life better are promoted as paving a better life. But they come with a price. You may ride in a car that drives safer than you would but also know that if your social credit score or other evaluation of your personhood comes up short you my not be allowed to go where you want when you want. As in all things run by machines people put themselves in positions of inferiority whereby the machine or others controlling the machine can assume new liberties and controls over their existence. This is the face of modern man. He allows himself to be taken over under the guise of easy living, blind to how he is sealing his own fate. Like horses in a great roundup they don’t realize the corral is getting smaller until they can’t move. Smart technologies are dumb. They’re not what they claim to be–common for brakes to activate-especially just one side–with no threat–GM vehicles under recall fo just that reason.